ASABA— Two members of the Indigenous People of Biafra, IPOB, arrested since 30th May, 2016, was today granted bail by Hon. Justice (Mrs) Flora Azinge of the Delta State High Court sitting in the state capital, Asaba. Our sources confirmed that the two accused was among those arrested during last year’s Heroes’ Remembrance Day peaceful rally in honour of the Biafra fallen heroes held in Anambra state, and consequently remanded by the holding charge order of a Chief Magistrate Court in the state and were then re-arraigned to the State High Court for involving in a purported murder of some security officials. After hearing the argument on the individual applications for their bail moved on the 10th day of March 2017, by their defense counsel, Hon. Bar. Ifeanyi Ejiofor, the court adjourned ruling for their individual applications on separate dates. Following a heated argument which lasted for over a period of seven hours, the duo of Emehelu Harrison and Dickson Anyamene were finally granted bail today by the order of the court. In her ruling, the trial judge held that there is no strong evidence presented before the court to prevent it from exercising its discretionary powers to grant bail in favour of the applicants. The court upheld in its entirety, the submissions and argument of Barrister Ifeanyi Ejiofor; the learned counsel to the bail applicants, in holding that the offences the applicants were accused of committing, cannot be sustained by any document, fact or material before the court. 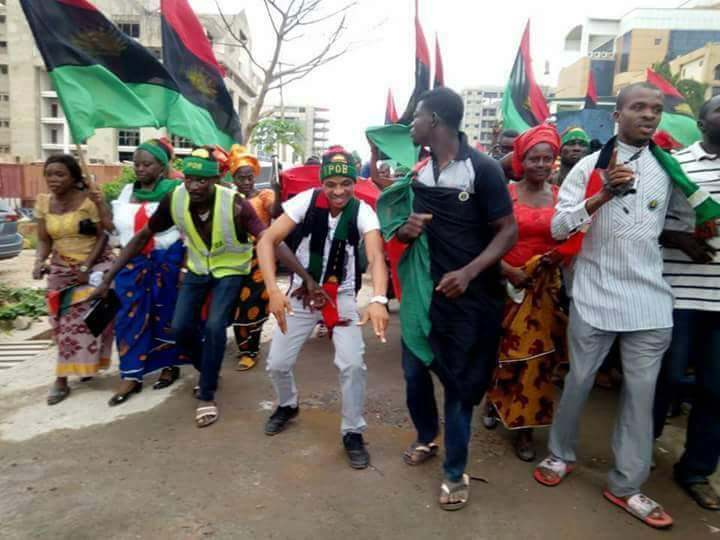 The court has so far admitted bail to six out of the seven Biafra activists arrested on that fateful day. Barrister Augustine Ezeokeke; a lawyer from the chambers of Ifeanyi Ejiofor, who took the ruling today, also informed our Reporters that ruling on applications filed on behalf of the remaining one person (Chigozie Ogbuzuru), will be delivered on the 4th day of May 2017.